Frame it. Hang it. Enjoy it. 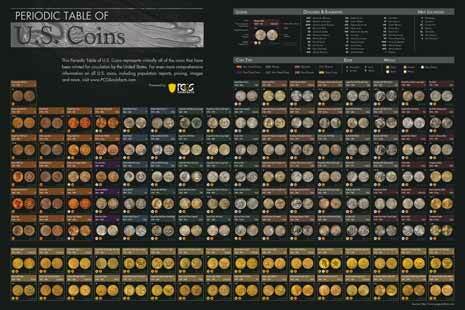 Featuring 121 different coins minted for circulation by the United States, the PCGS CoinFacts Periodic Table of U.S. Coins Poster is an instant conversation starter.